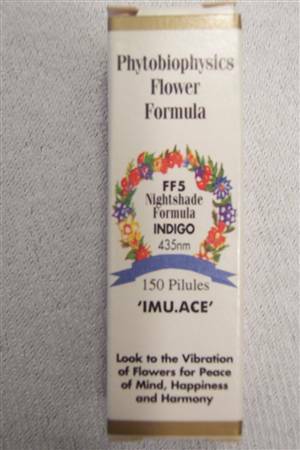 Flower Formula 5 is for the immune system, the teeth and the mouth and aids the assimilation of anti-oxidants. Contains elderflower, black nightshade, maritime campion, rosemary. I have the whole range including the Tree Formulas if anyone is interested.